As we know that while buying a property entire risk rests with the buyer. It is imperative for buyer to ask a seller few imp points. In this post we will discuss 5 such questions which a Buyer Must Ask a Seller before buying a property. In India, most of the property deals are closed through Real Estate Agents or Brokers. Normally Brokers don’t allow buyer and a seller to discuss the nitty gritty of the deal. All the communication is through Real Estate Agent which might create confusion at later stage. I have observed that Real Estate Agents usually favor the seller therefore the interests of a buyer are not safeguarded in this entire process. Focus is mainly on Property Negotiations which i highlighted in my post Property Negotiations – Avoid these 5 Mistakes. Though a buyer cannot expect direct answer to few of the following 5 questions. The only objective is to get a fair idea about the nitty gritty of property transaction. Lets check out 5 imp questions. Why Seller is Selling the Property? In my opinion this is one of the most critical point which is generally missed. Seller will not give straight forward answer. Best way to find out is ask the various stake holders separately like Real Estate Agent, Buyer may directly ask Seller and Buyer’s spouse may ask Seller’s spouse. Also you can check with association office i.e. reason for sale. Information from various sources will help to find out why seller is selling the property. The reason behind this exercise is to check whether there is any issue with the property or with the project. Though personally i don’t believe but i observed based on client feedback that some properties are unlucky. One such client has a property in Mumbai and trust me he has to find new tenant every 6 months. Now he is planning to sell the property. In many cases, seller was fed up with structural defects in property like seepage issue despite spending huge amount to fix the same. The issue cropped up every 2 months. Finally he got the house painted and sold it within a month to get rid of same. You can also check from how long the seller / tenant is staying in the property. What is the Resident Status of a Seller? It is also very crucial point from tax perspective. Most of the times buyer assume that seller is Resident Indian but it is not true. In many cases, seller conceal the resident status if he or she is a NRI. Reason being, 20% TDS on sale of property from NRI. To avoid this TDS, NRI seller insist that he is Resident Indian. End Result the buyer has to pay heavy penalties to Income Tax department. From buyers perspective, it is very difficult to find the correct resident status of a seller but there are few ways to check. Buyer can check the passport of seller, PAN status on Income Tax department website & type of bank account. Last but not the least, still if there is any doubt then buyer can include a clause in agreement that seller has declared his resident status as “Resident Indian”. In case of wrong declaration in agreement the entire onus is on seller for false declaration. What is CAGR i.e. Property Appreciation? Not many buyers check this aspect but generally go by market trend of area. For example, if i am buying a property on Sohana Road in Gurgaon then i will just check the average appreciation of this area. Fact of the matter is that you might find specific projects with NIL or Negative appreciation or flats with above average appreciation. 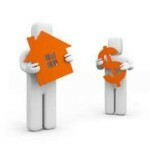 A buyer must ask seller how much appreciation he is booking on his property investment. Taking a cue from recent example of one of my client. She was buying a 9 year resale property for 1 Cr. I asked her to check the rate at which seller bought. She called me with great excitement and told that seller has doubled the money as he bought it for 50 lakhs in 2005. I informed her that CAGR is just 7.41%. I explained her that this much return she can get in any Govt savings scheme also discounting the fact that she is buying the property on Home Loan. In my opinion, if CAGR is less than 10% then you should drop the idea of buying that particular property. Why seller is offering discount? As a buyer, rather being happy about getting a discount or good deal you should find out why seller is offering discount. In some cases, seller is genuinely in a hurry to sell the property as he is in urgent need of money. If you are getting a genuine discount then its fine. If discount is being offered to hide any inherit flaw in property or future event then be cautious. I will share an example. In Mumbai, Govt was planning to build Santa Cruz – Chembur link road. There was plan to demolish large no of apartments en-route. Sellers offered heavy discount to dispose the property as news was classified and not in public domain. People who bought at discount stuck because govt acquired at much lesser price. In short, getting a good deal is not a bad idea but it should not be the case that you have to deal with after results. Do a thorough research on reason why seller is offering discount as no one would like to sell at loss. It is advisable to directly ask the seller. Most of the times, buyer don’t ask seller in fear of losing the discount. What will be Sellers future Permanent Address? I always suggest my clients to ask for permanent address from seller at the time of buying a property. In future, if there is any issue or dispute then most of the buyers fail to locate the seller. Though i agree that after 4-5 years anyways it is difficult to locate the seller. But if there is any issue in property then you will come to know within 1-2 years. It is imp to keep track of seller atleast for a year or so. If seller is moving out of India then you may ask for local contact. If seller is moving to other city then you may ask for his home town address where his close relatives like parents or brother / sister is staying. You can also check the authenticity of the address provided. I hope as a buyer you will take care of critical points and liked the post. Always remember that entire risk in property transaction rests with the buyer. You cannot rely 100% on 3rd party like Real Estate Agent or Lawyer to safeguard your interest. As a buyer, you should also safeguard your interests because its your money.